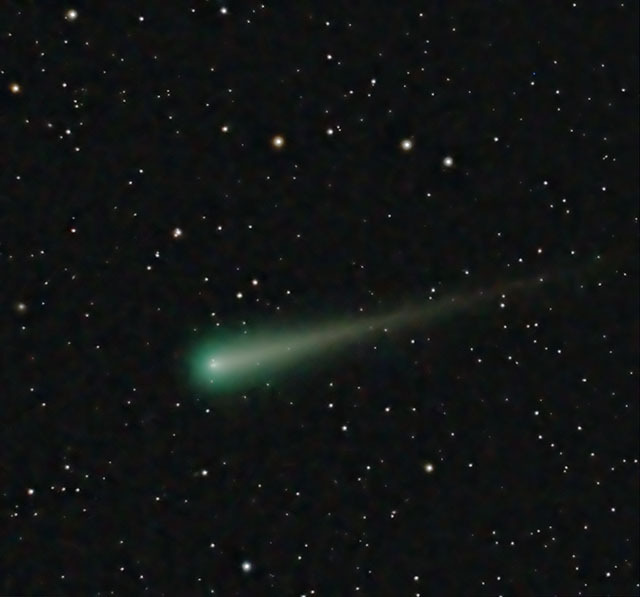 Comet ISON from Nov 2, 2013, right before sunrise from the Davis Mountains, TX. 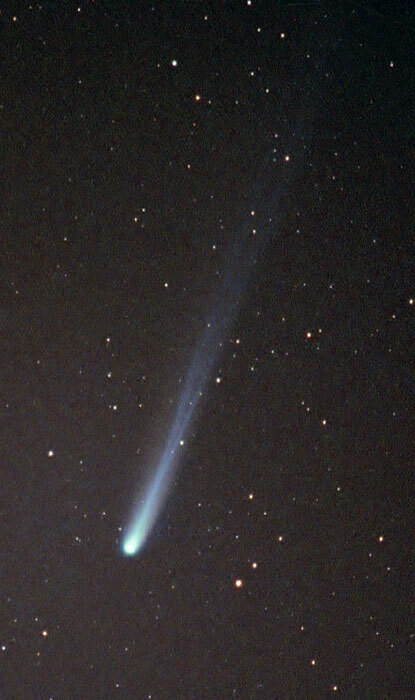 The image above is a combination of 4 frames (5-minutes each) aligned on the comet's head. 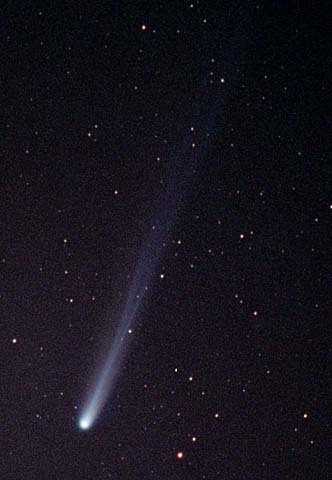 You can see how fast the comet is moving relative to the star field. Below is a single, 5-minute exposure. Equipment was the TOA 130 telescope with reducer and QHY8 "color" CCD camera. Nine * one-minute exposures 11/9/2013 from 5:26 a.m. to 5:36 a.m. from the Davis Mountains, TX. 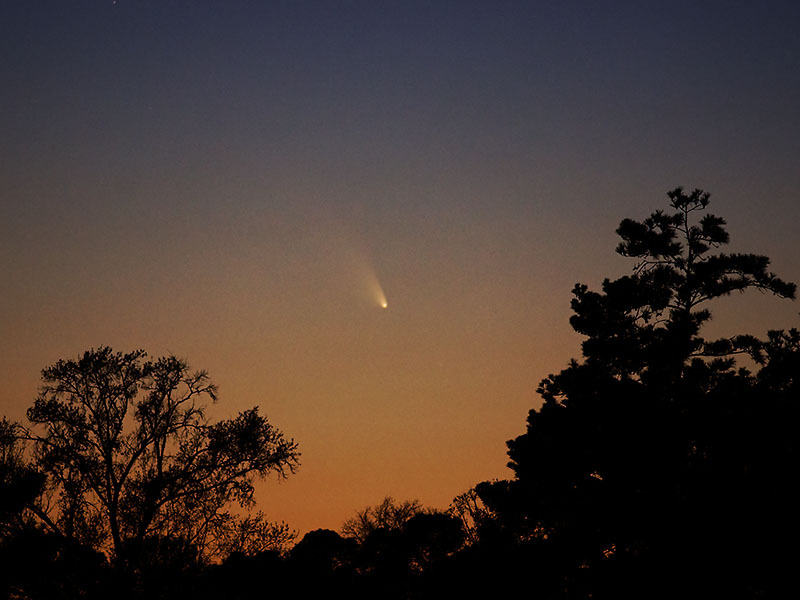 Comet PANSTARRS Pictures - one below plus there is a new, dedicated Comet PANSTARRS page here! 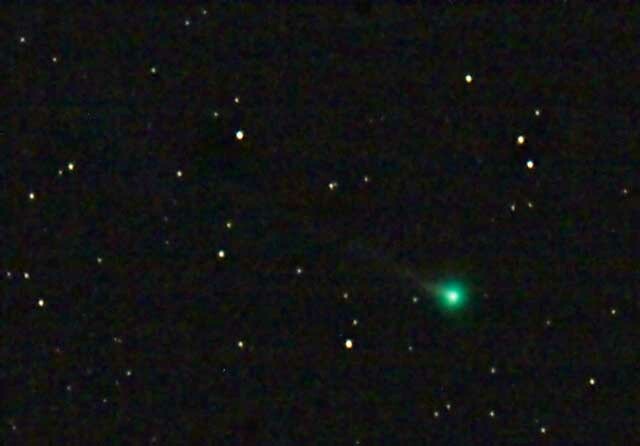 March 11, 2013 using the Nikon D7000 camera, 1.3 sec at ISO 1000, Nikon 300mm f4 ED lens at f4.5, tripod mounted. 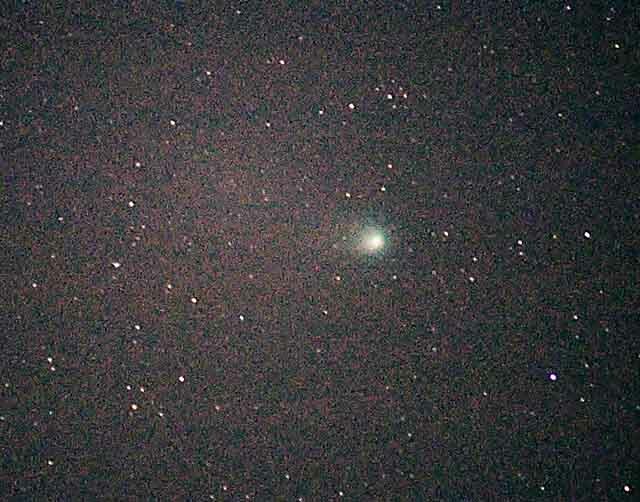 This was a nice, classic-look comet. Scroll down to the NEAT section for more info in the shot above. This image: February 21/22 2009, 31 x 2 minutes = 62 minutes total exposure, from light polluted skies of The Woodlands, TX. The frames above were grouped into one set of 12 images and another set consisting of 21 images. 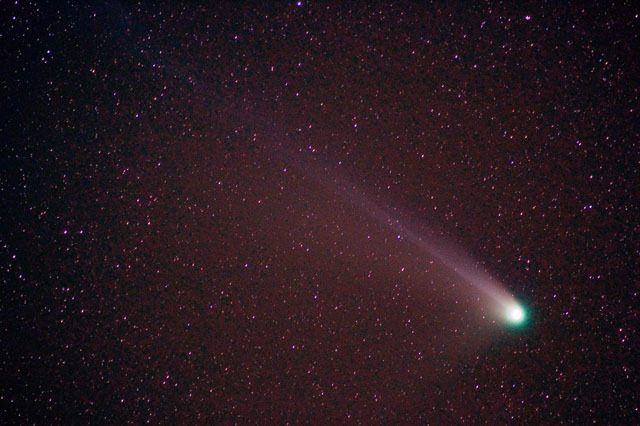 That is seen in the groupings of the stars in this image that was aligned on the comet's head. 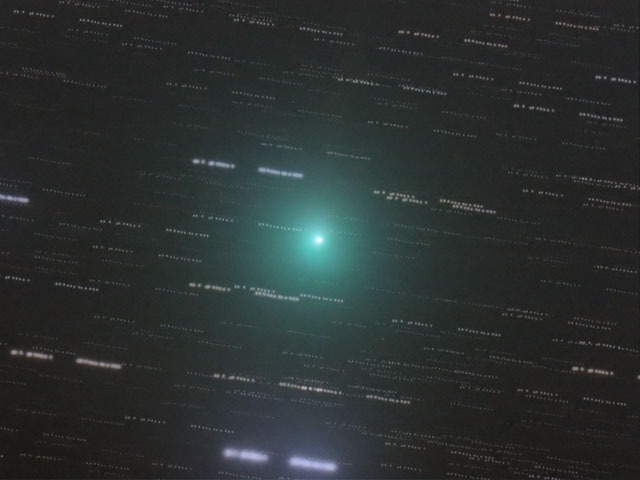 The comet is moving very quickly relative to the stars. I'm sure could have done better from a dark site. Interesting item: This article says Lulin is shedding 800 gallons of water per second as it approached earth in late January. Above is ~26 frames of 1 minute each, then manually aligned on comet's head and "adaptive added" together using ImagesPlus. 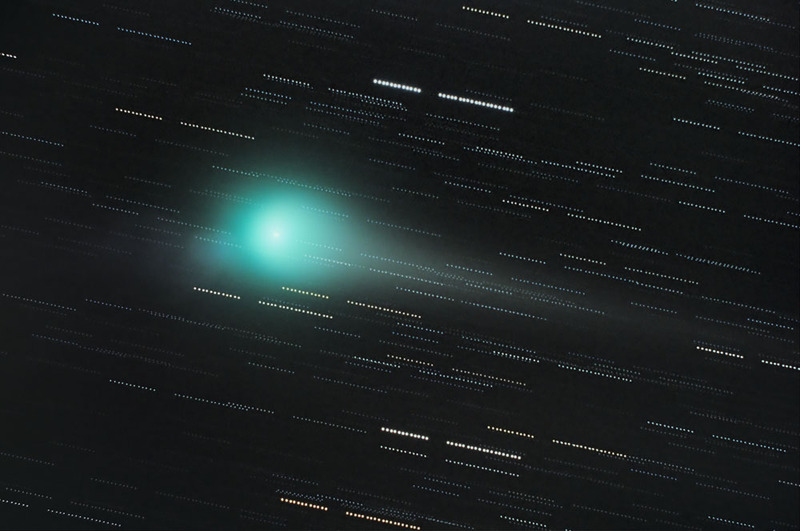 The comet is moving very fast relative to the trailing stars. Gaps in the star pattern are due to refocusing, taking of darks, and other interruptions. Processing: Background set to neutral, then I used my DSLR Workflow including Lab technique to accentuate the colors. Look below for an alternate version of 17P/Holmes. 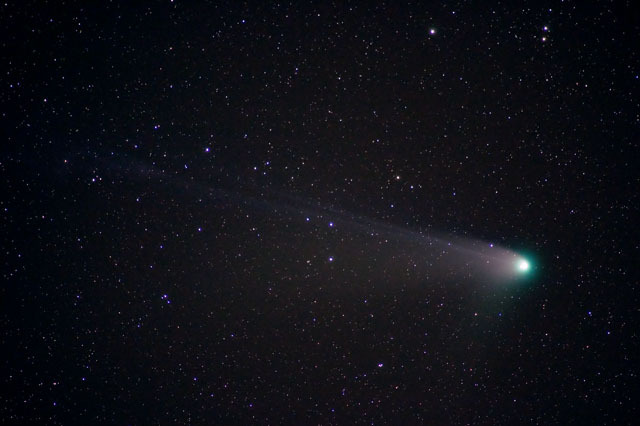 Note: Comet Holmes Main Picture Page is now here! 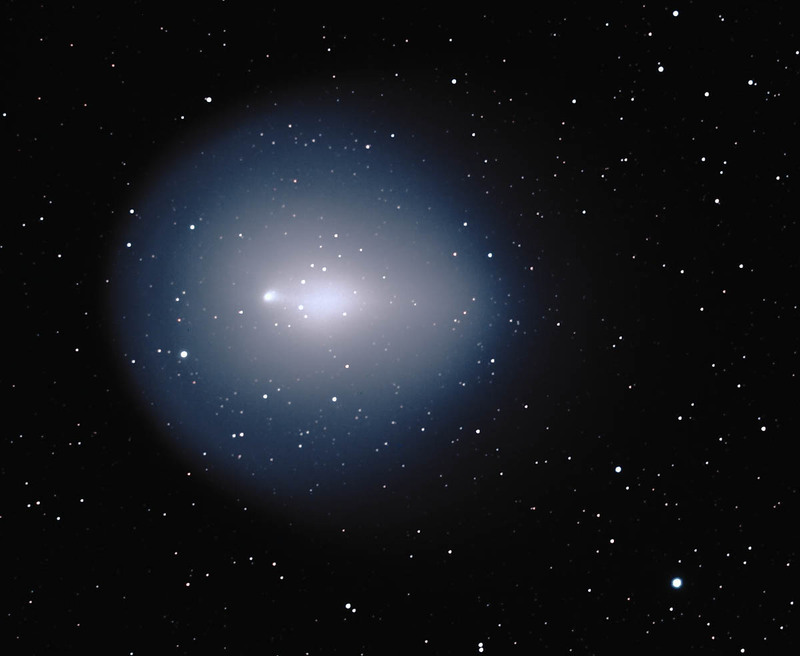 Note: Comet Holmes Main Picture Page is now here! Most recent (2007+) pictures use the following equipment: Canon EOS 20Da (unmodified) ISO 1600, Takahashi TOA 130 (a 5" APO refractor) with flattener, and Astro-Physics AP 900GTO mount. May 16h, 2004. 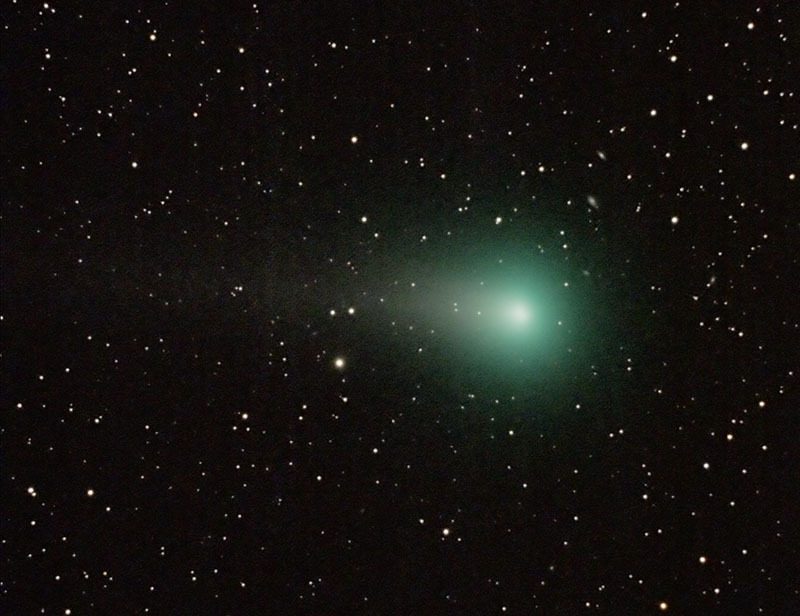 251 sec, ISO 1000, see below for more info. A couple more NEAT Q4 shots from same trip out west. 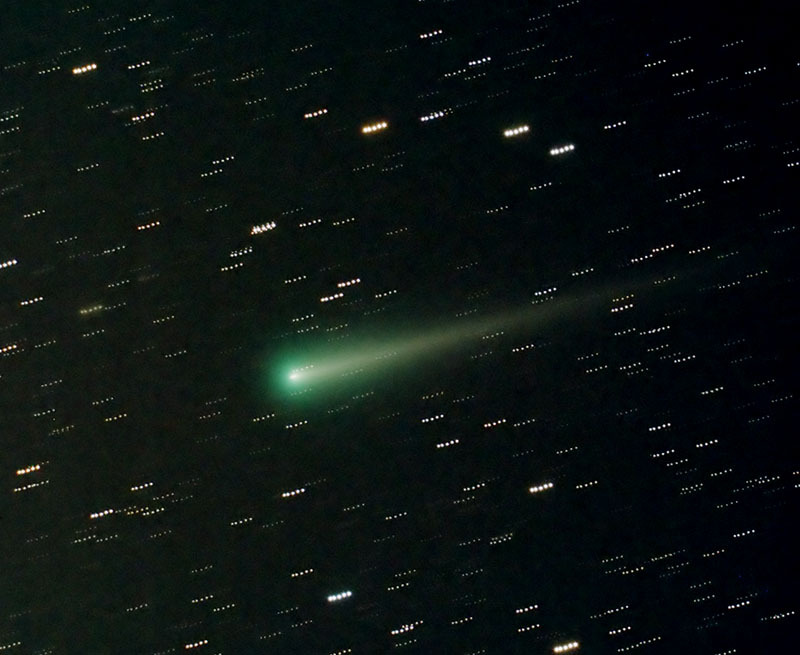 More comet photos below! Old! 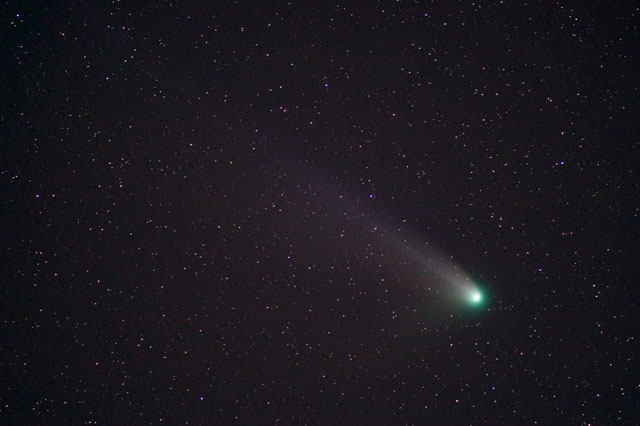 : 22" Guide Scope Comet Photo by Terry A.
Comet McNaught - The Tail End! 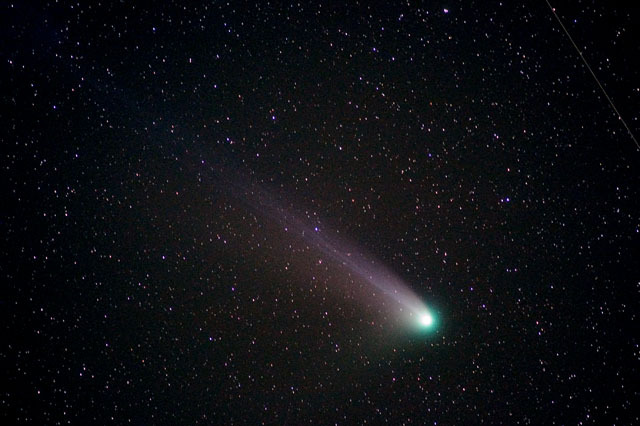 Below: a picture of comet Ikeya-Zhang. I took this in Wimberly, TX on March 11, 2002. I reprocessed the original shot to get a higher resolution image. Technical Details: Nikon F2 camera, Nikon 300 f2.8 lens wide open, ~4 minute exposure unguided, Losmandy G-11 mount, Kodak LE 400 film, Nikon Coolscan IV ED film scanner, quick and dirty processing in Photoshop.